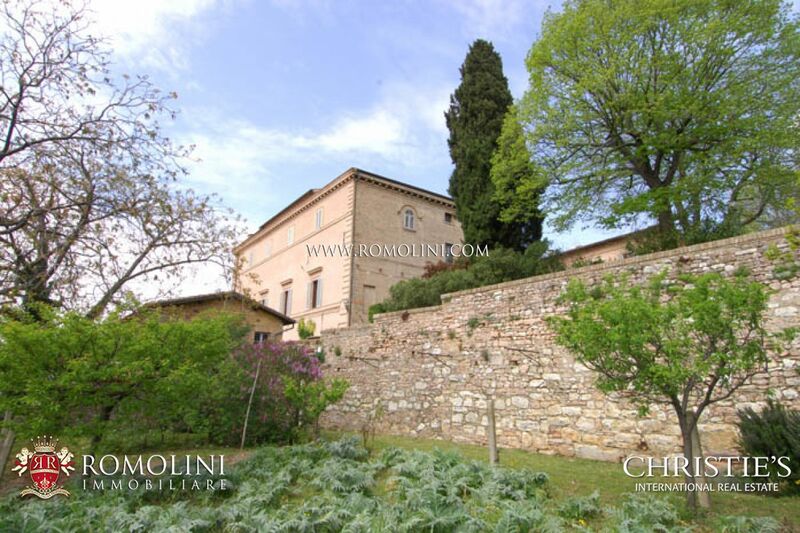 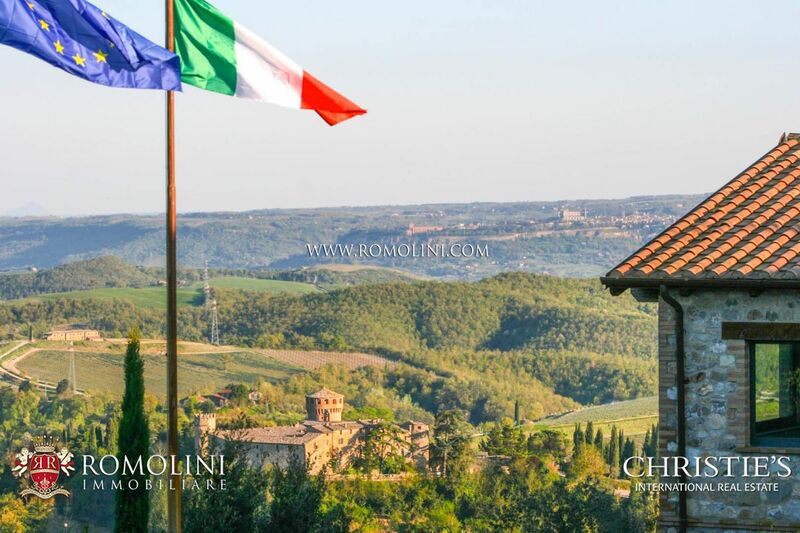 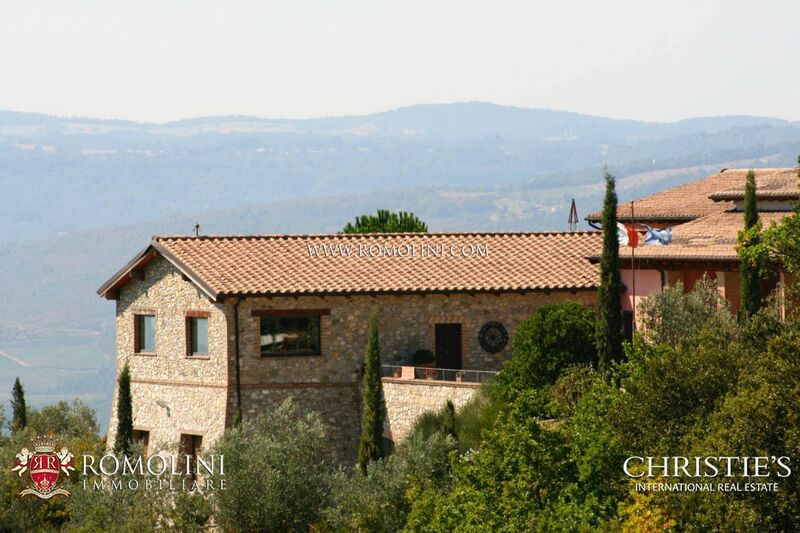 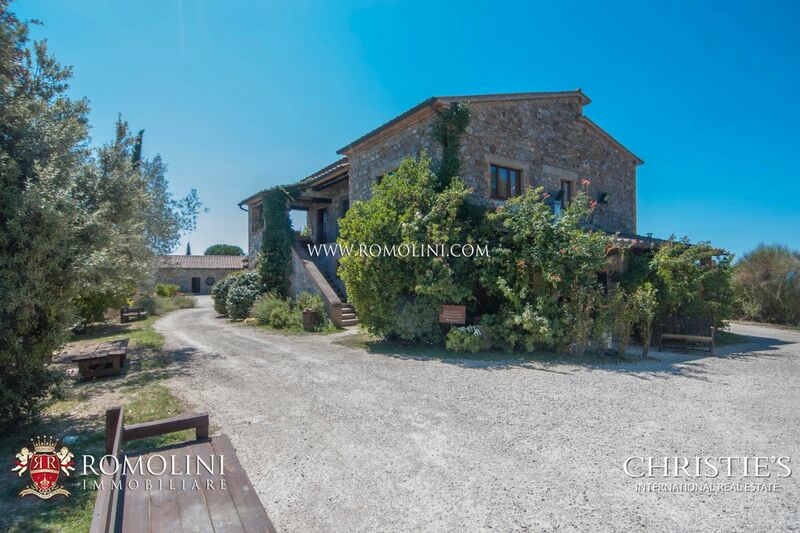 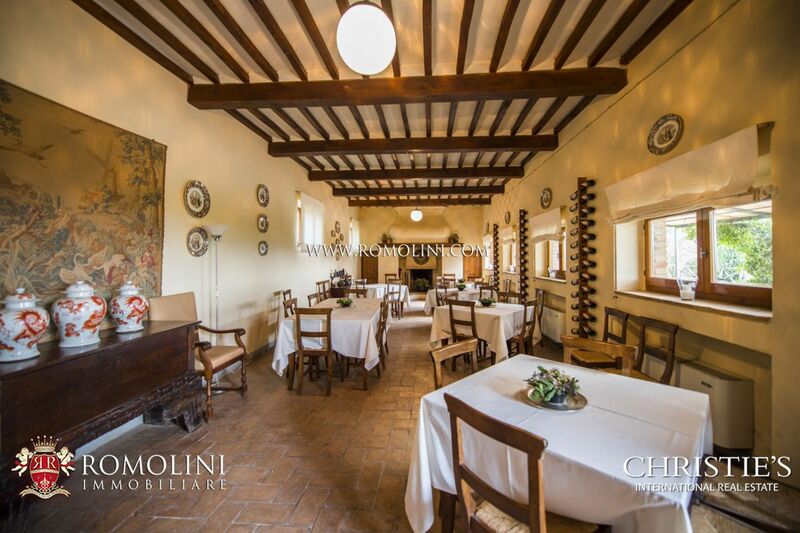 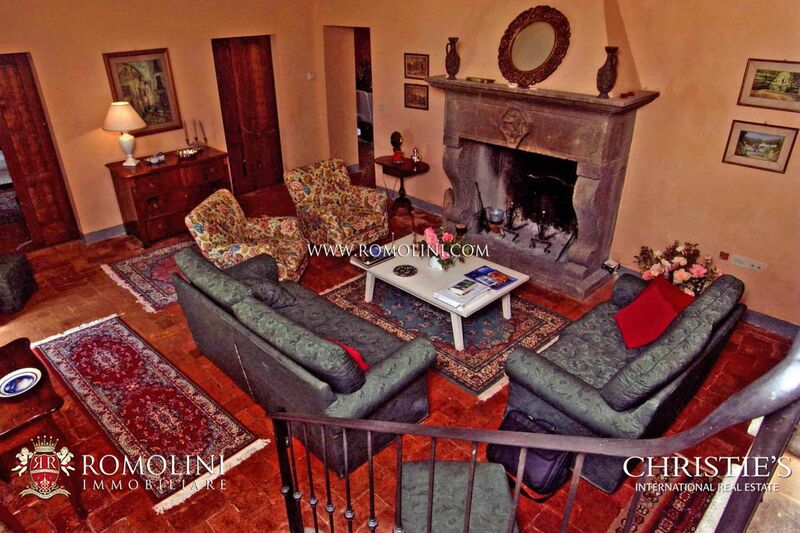 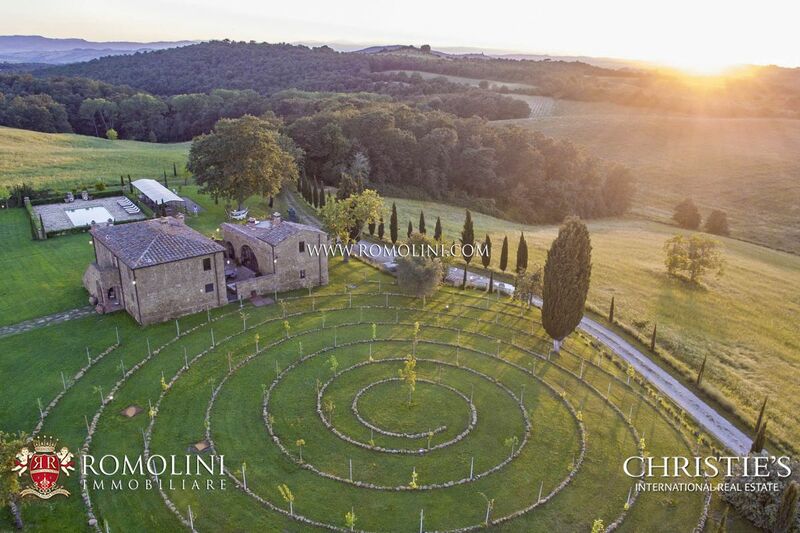 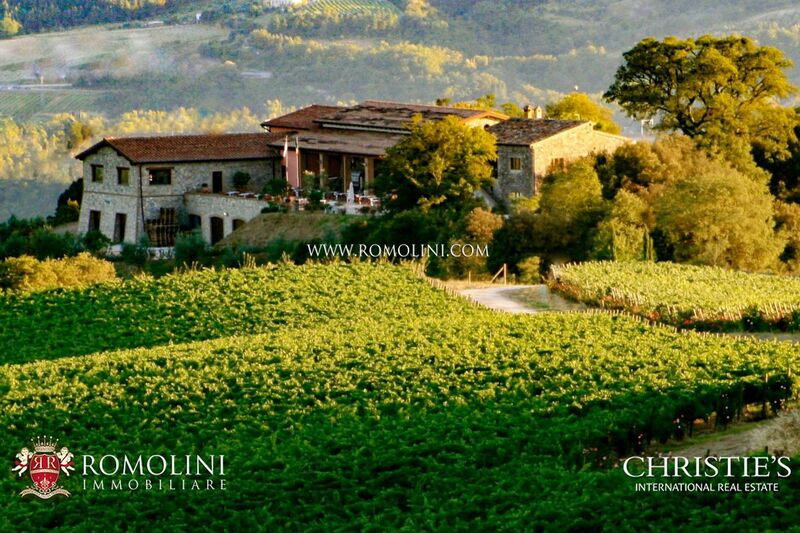 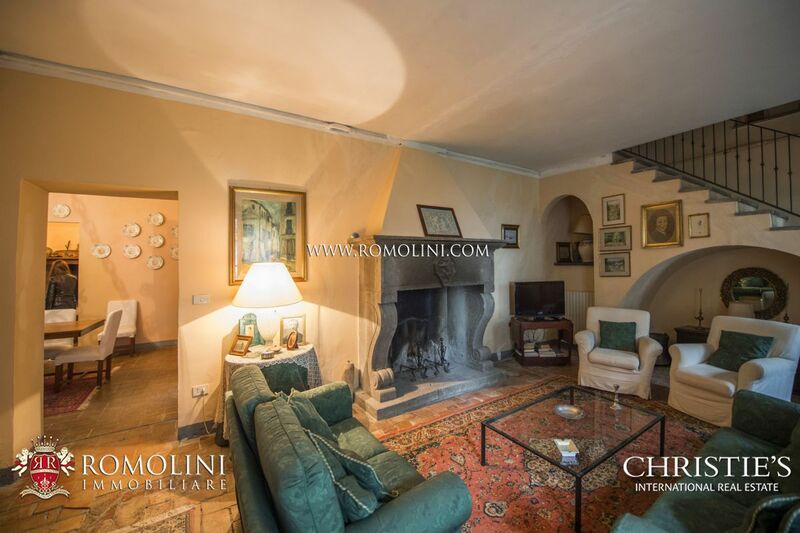 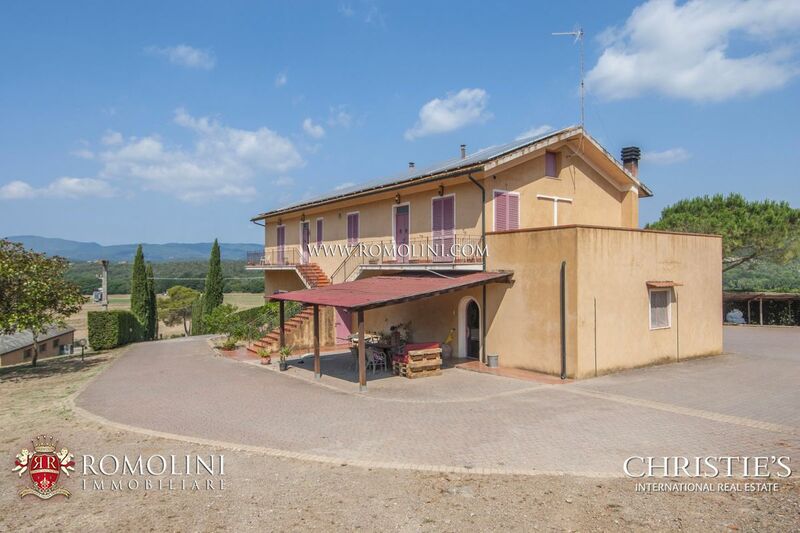 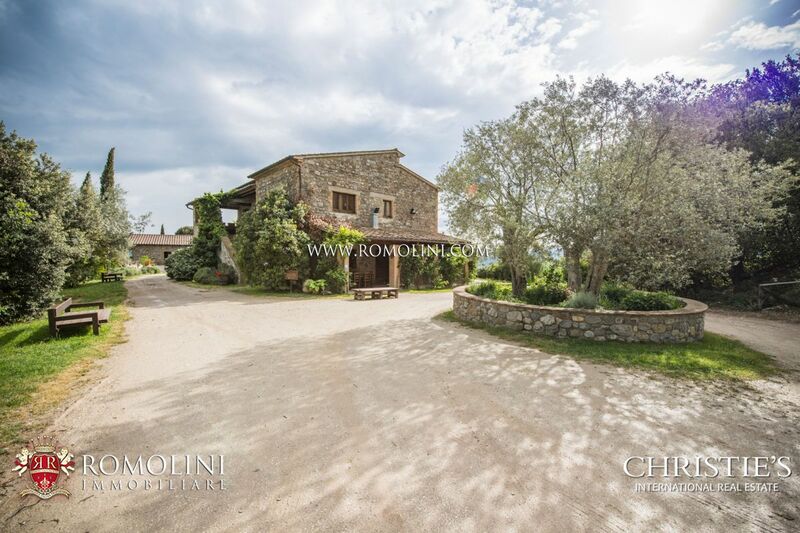 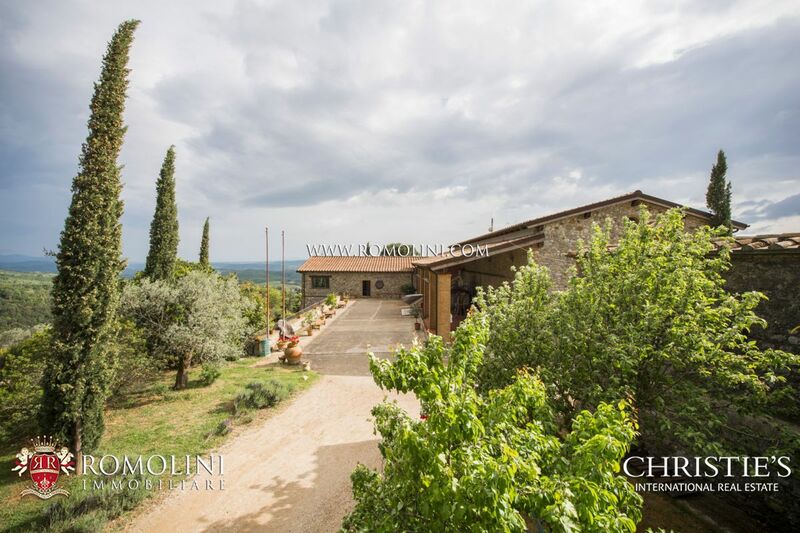 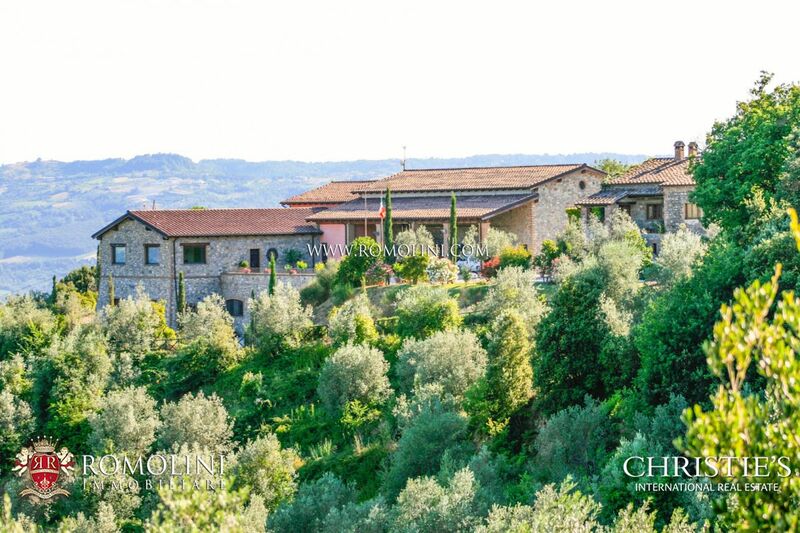 In the vicinity of the beautiful medieval city of Orvieto, in the Umbrian countryside at the border between Umbria and Tuscany, prestigious estate with winery and Agriturismo. 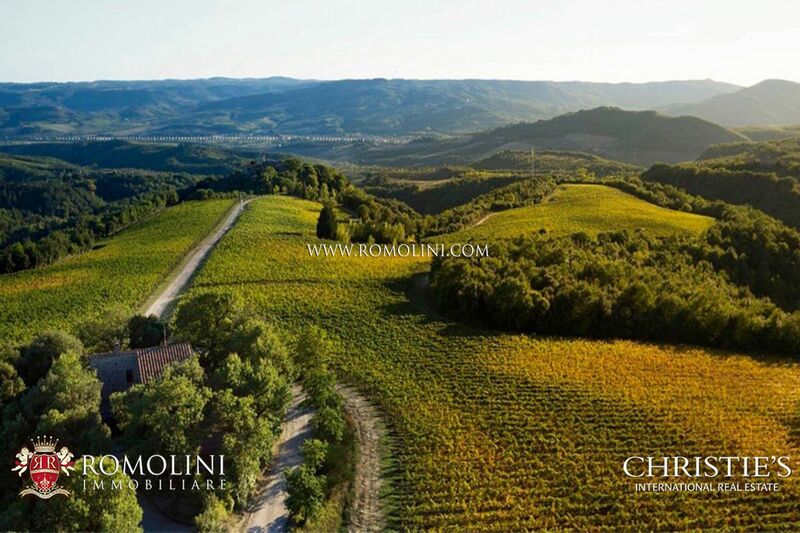 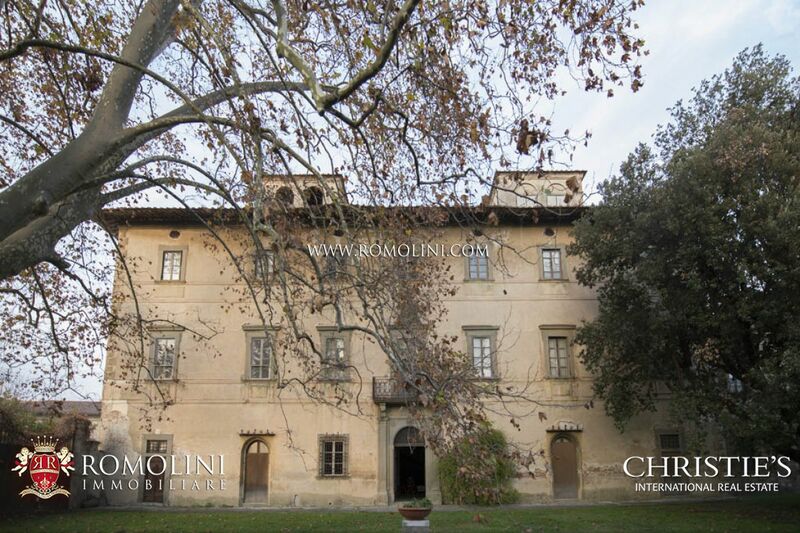 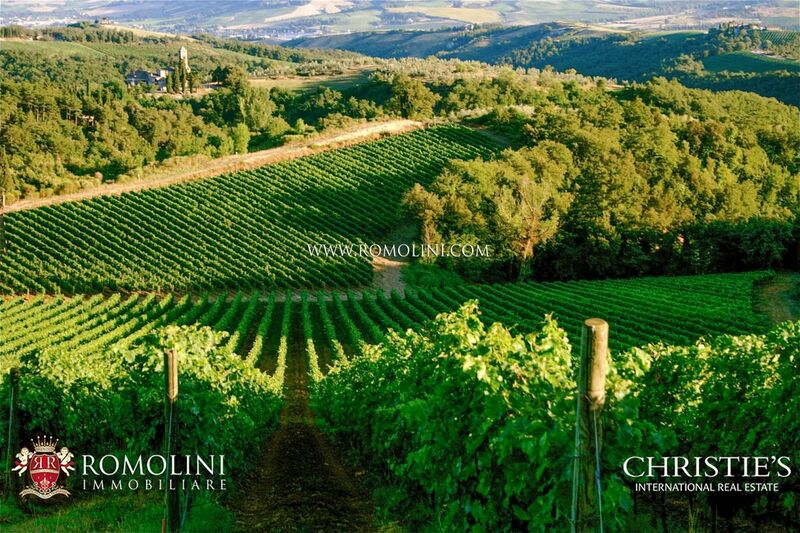 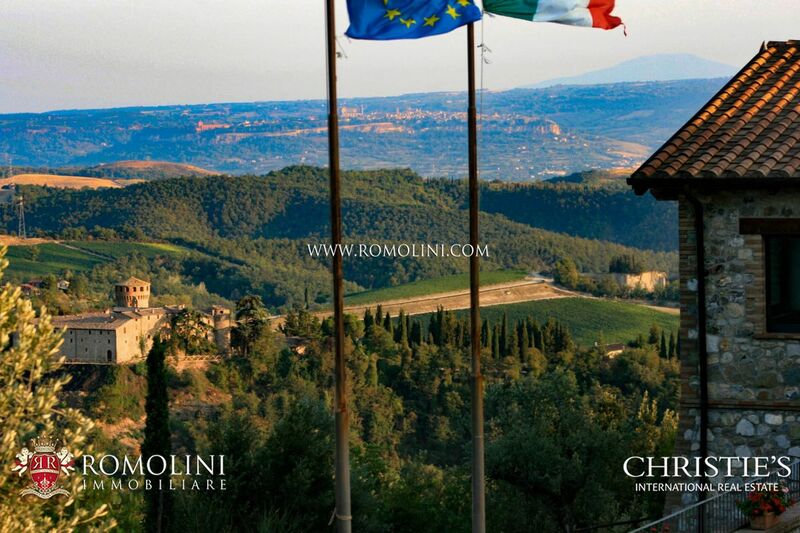 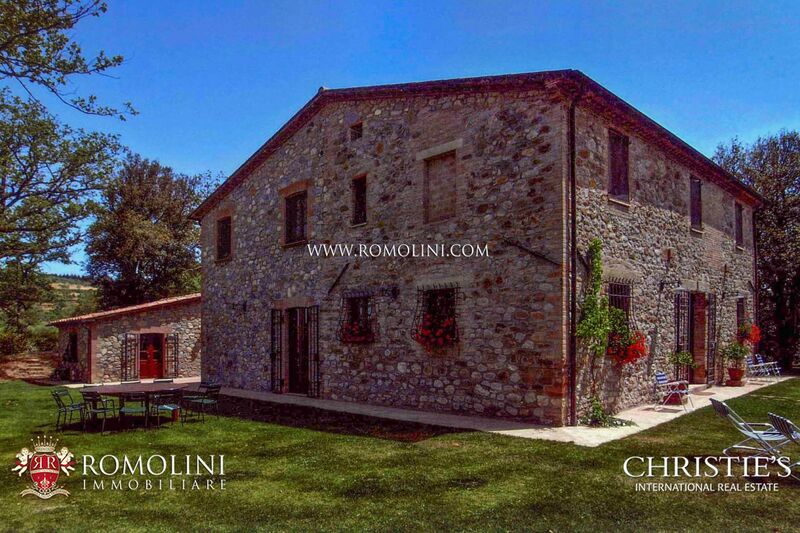 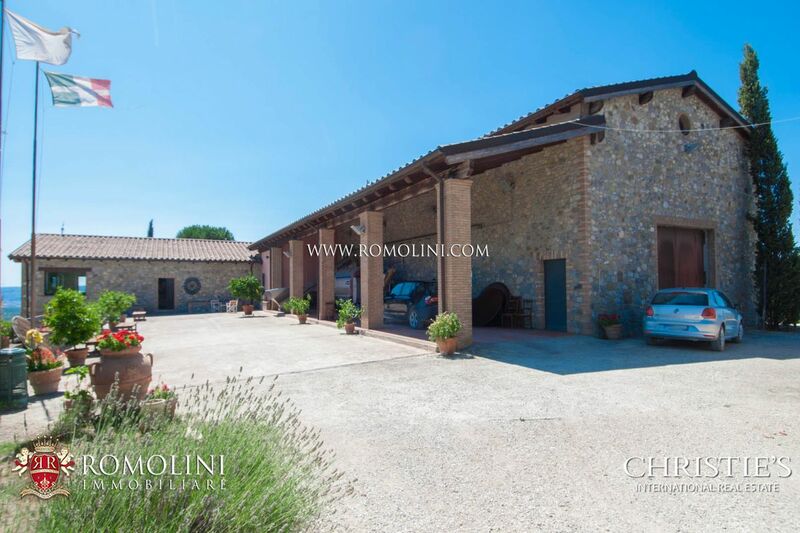 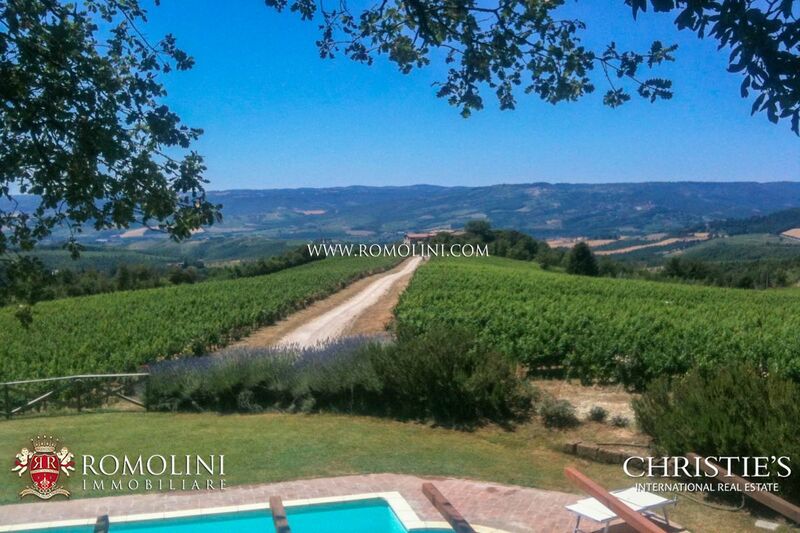 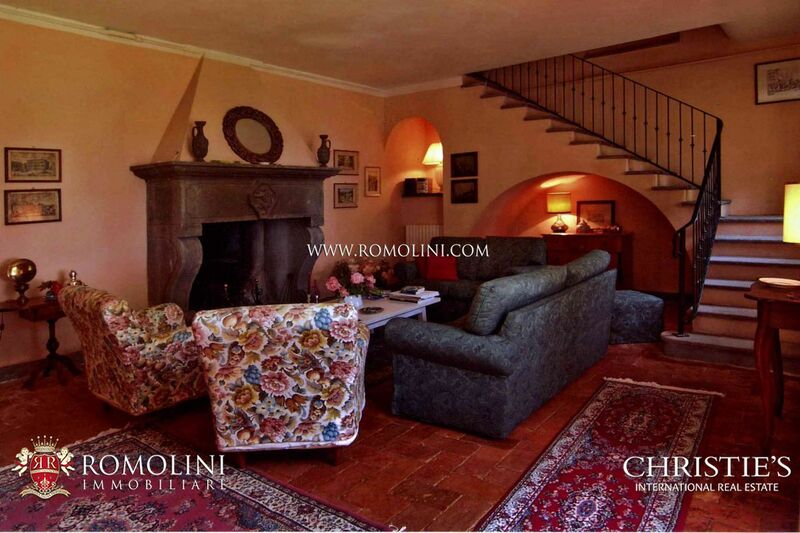 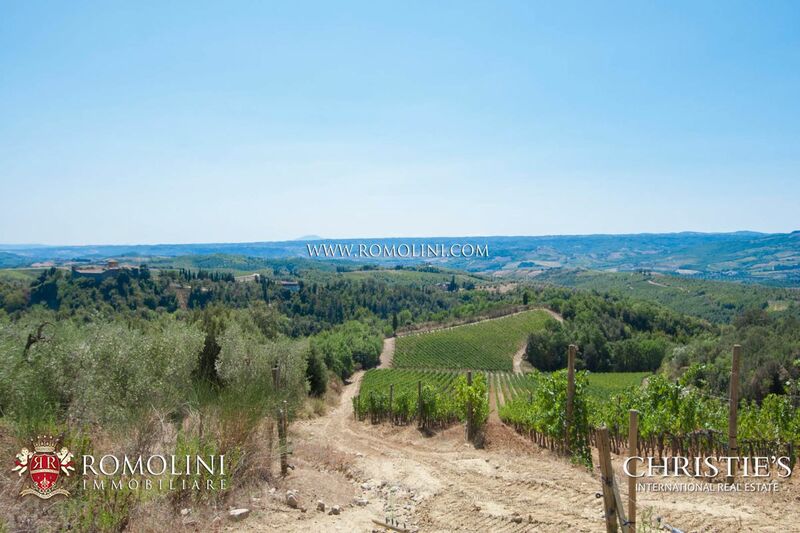 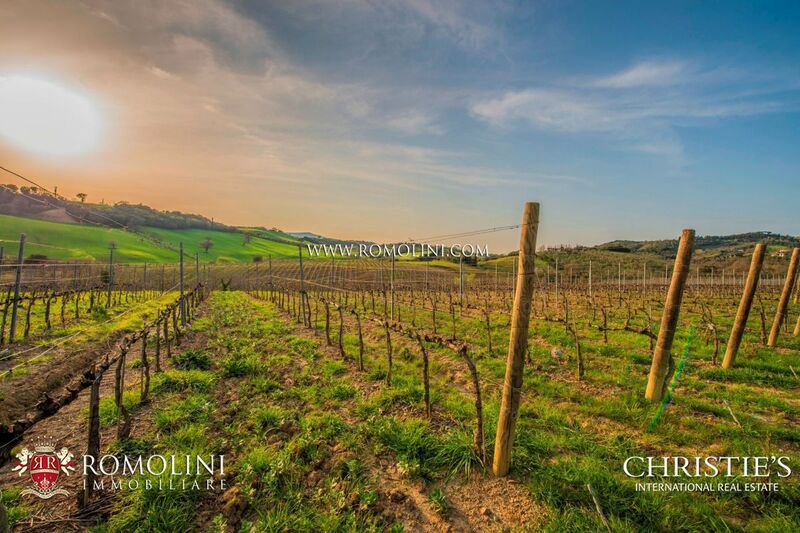 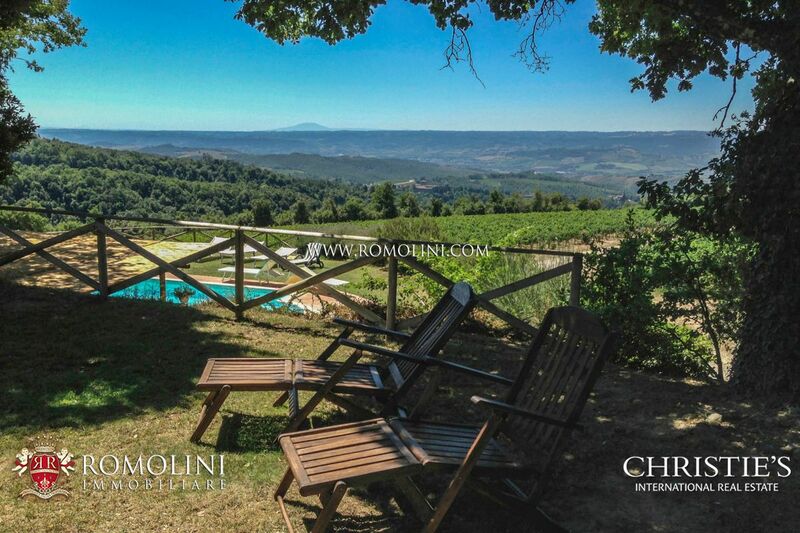 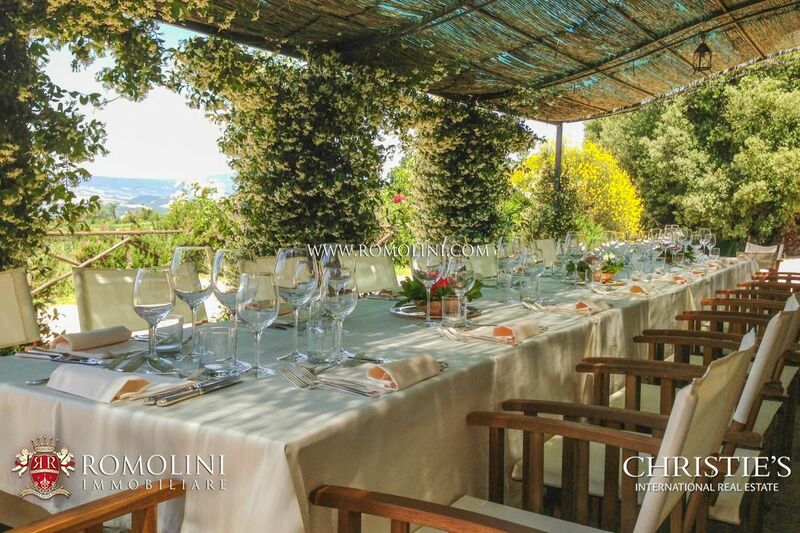 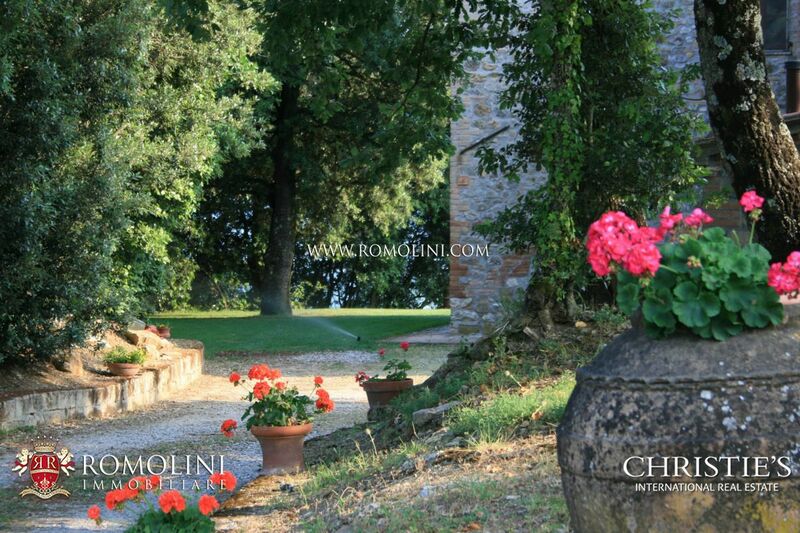 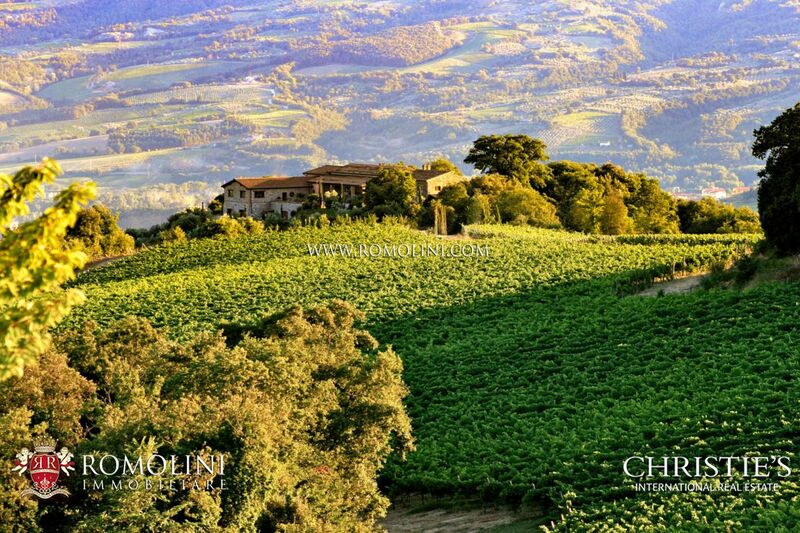 Easily reached and in a quiet position in the Umbrian countryside, this prestigious wine estate is perfect fro whoever is looking for a well-started business allowing at the same time to quickly visit several historical centers of Tuscany and Umbria: the beautiful Orvieto (24km; 35’), Città della Pieve (26km; 35’), the Etruscan Perugia (60km; 1h 15’), the wine cities of Montalcino (79km; 1h 25’) and Montefalco (79km; 1h 30’), the Franciscan shrine of Assisi (81km; 1h 35’) and even the Eternal city of Rome (134km; 1h 50’). 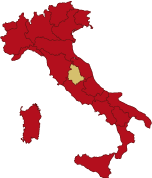 The most useful airports to reach the property are Perugia Sant’Egidio (69km; 1h 20’), Roma Ciampino (148km; 2h), Roma Fiumicino (163km; 1h 50’) and Firenze Peretola (166km; 1h 50’). 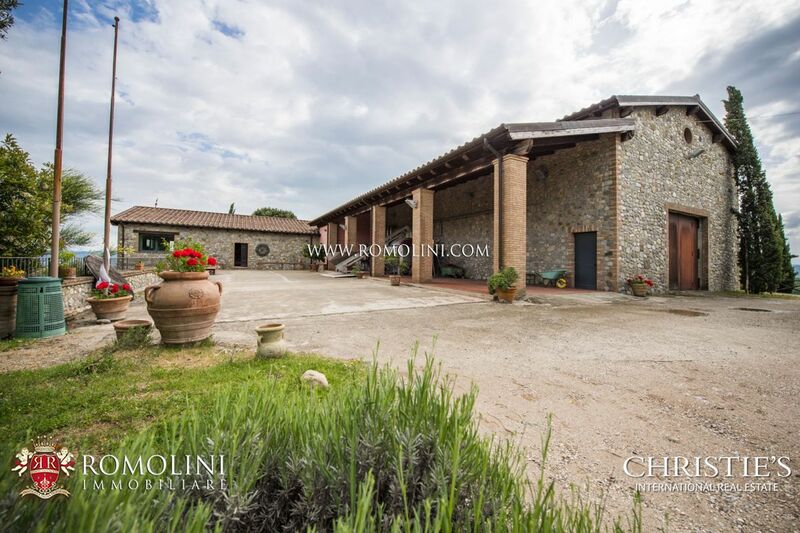 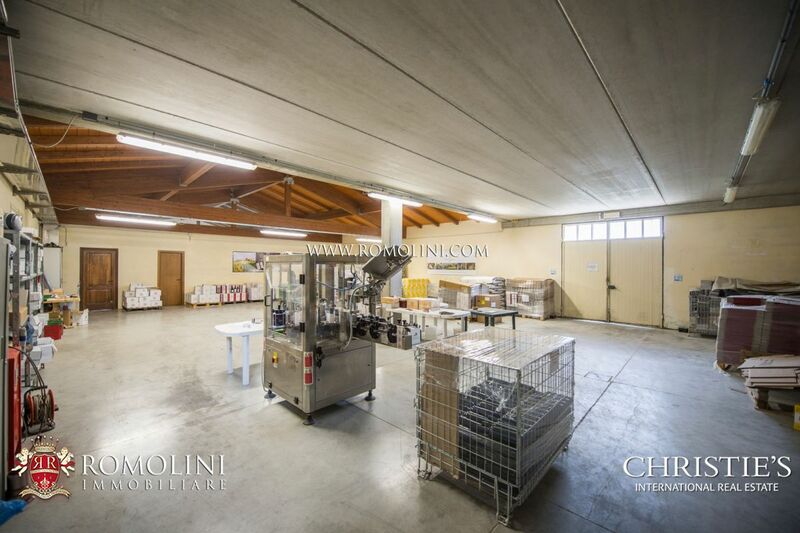 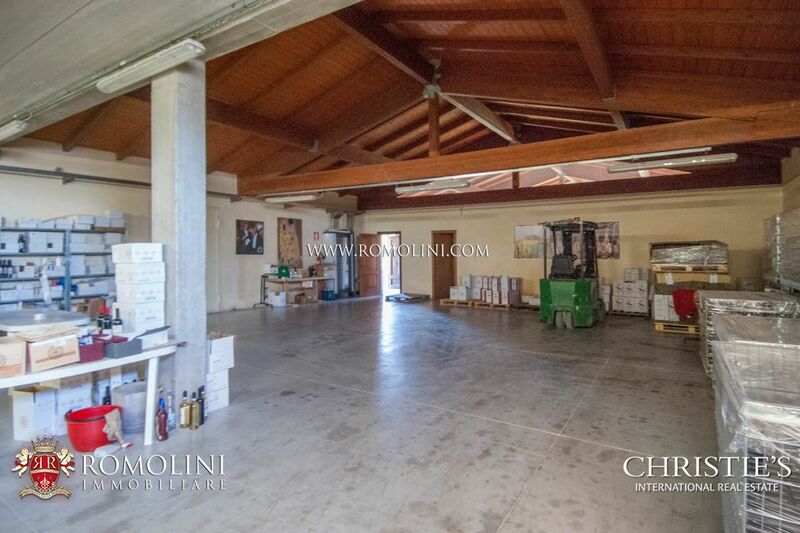 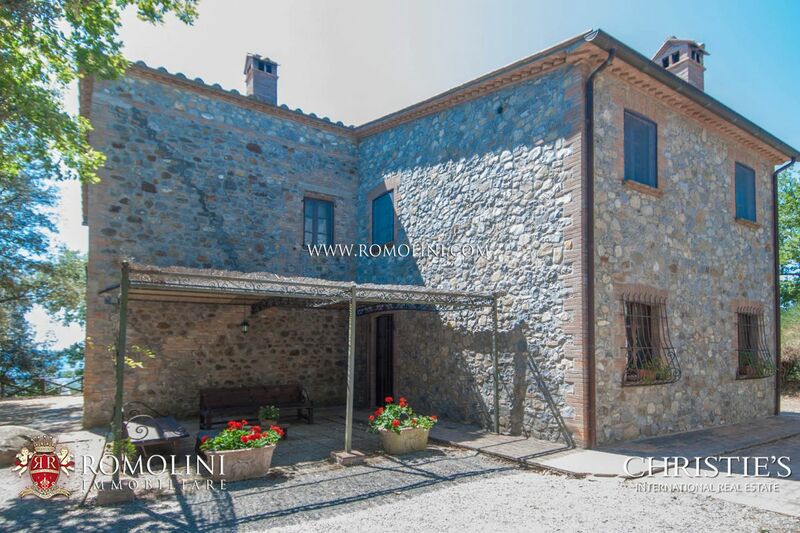 The property is made up of two buildings for the hosting business (545 sqm – 5,864 sqft), a dependance (30 sqm – 323 sqft), an ample and recently built cellar (1,550 sqm) and two small annexes (209 sqm – 2,248 sqft) used as storage house and technical shed. 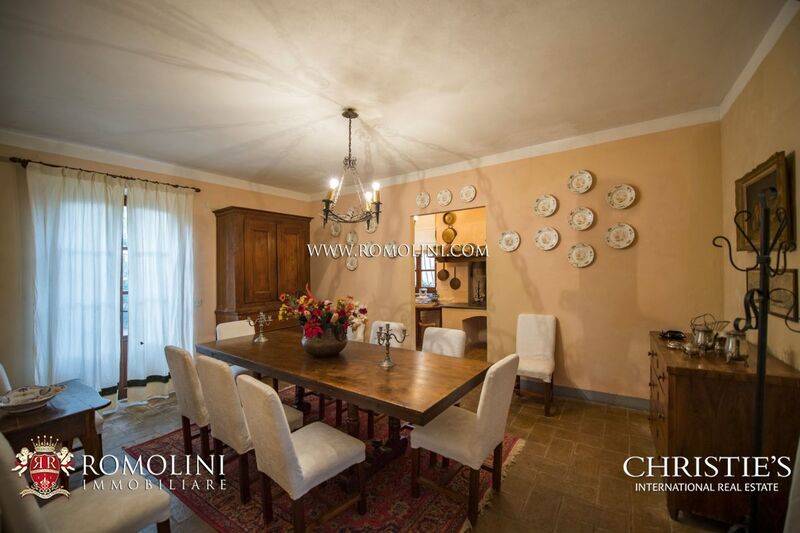 - Ground floor: living room, kitchen, dining room and bathroom. 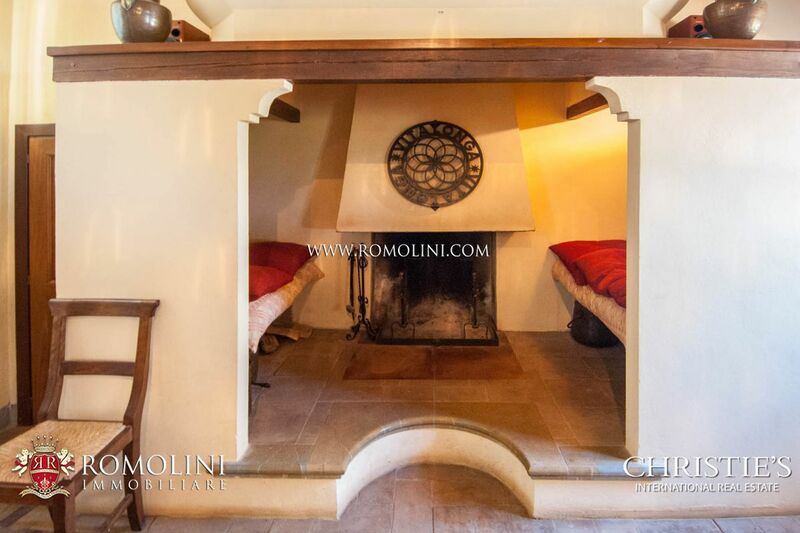 - First floor: 4 bedrooms and 3 bathrooms. 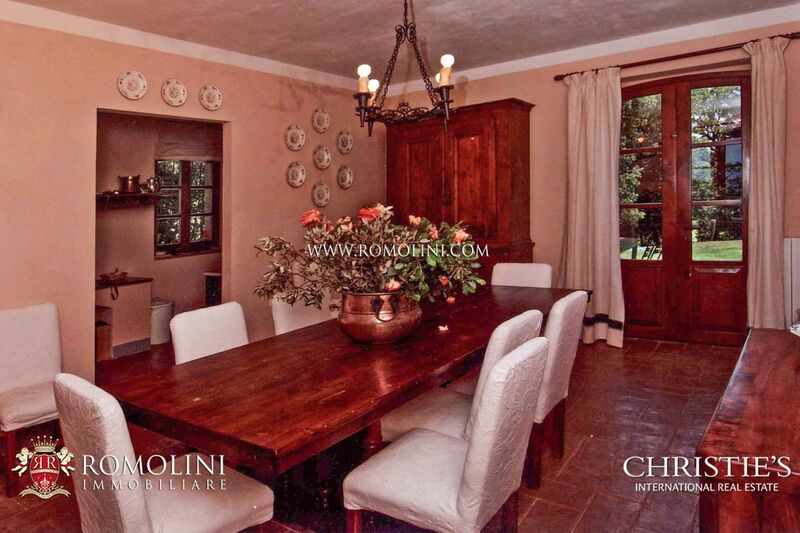 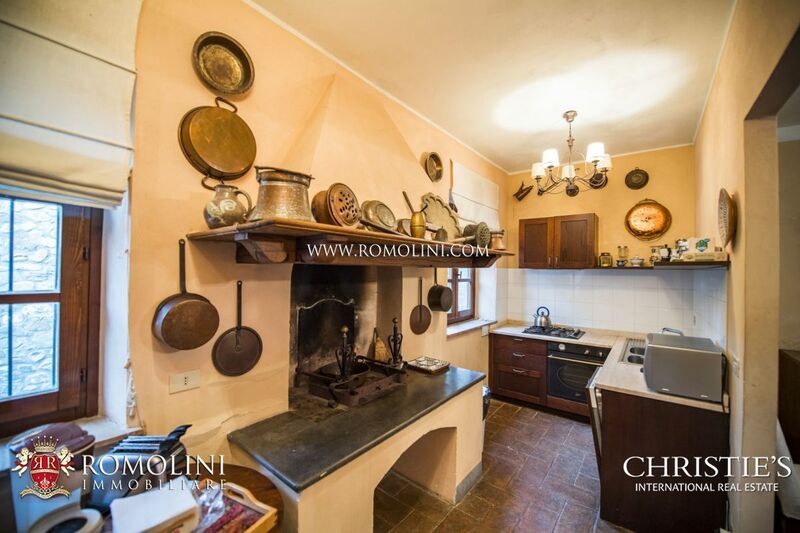 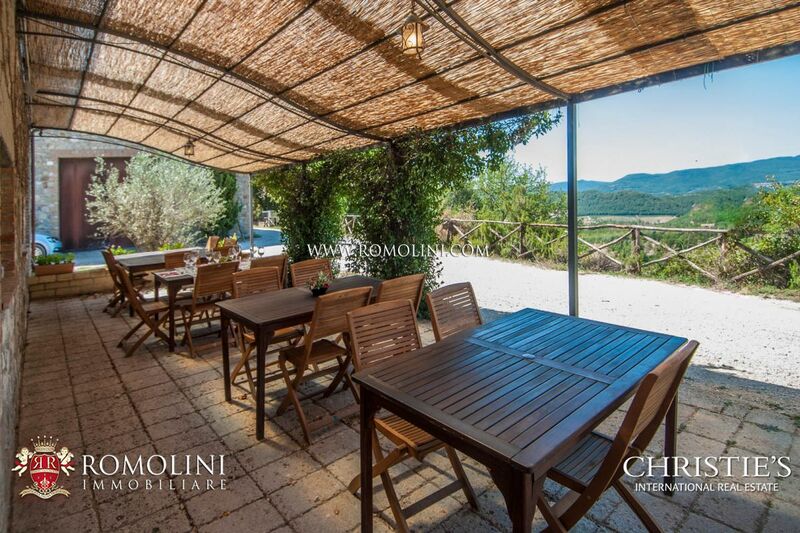 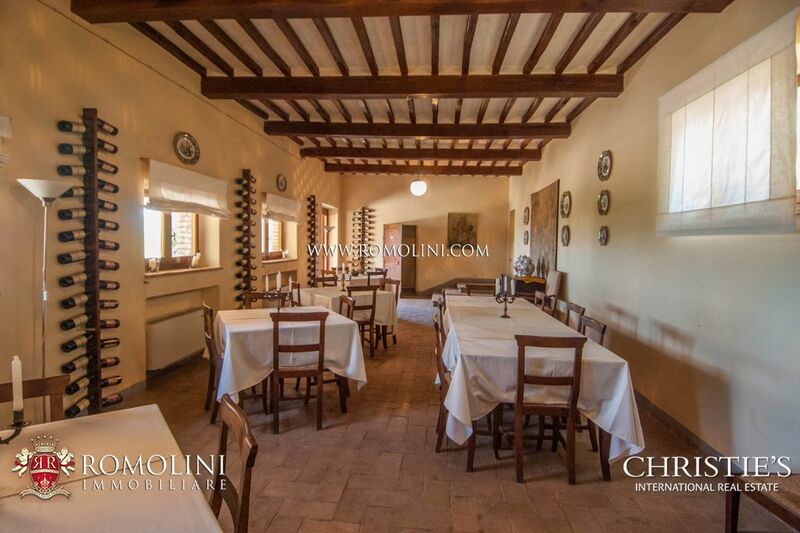 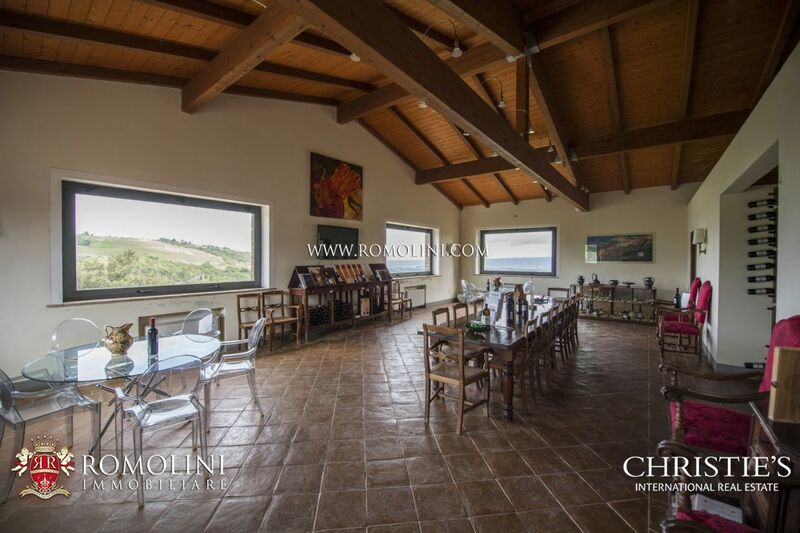 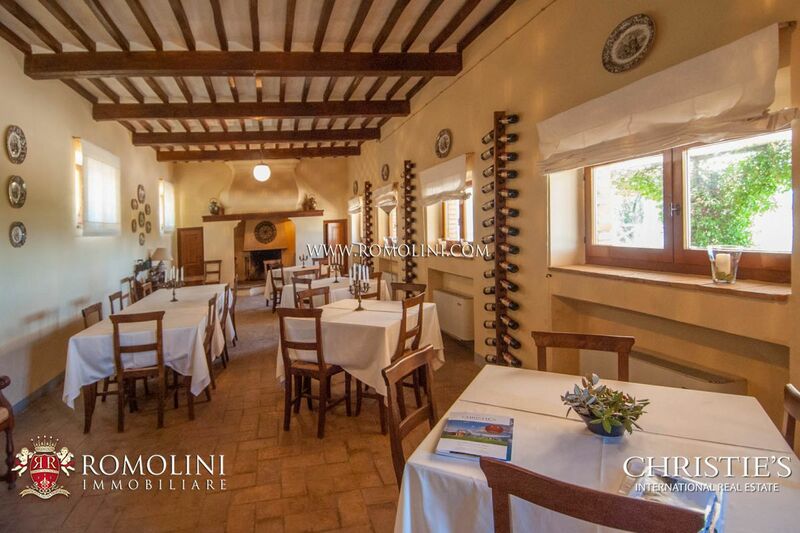 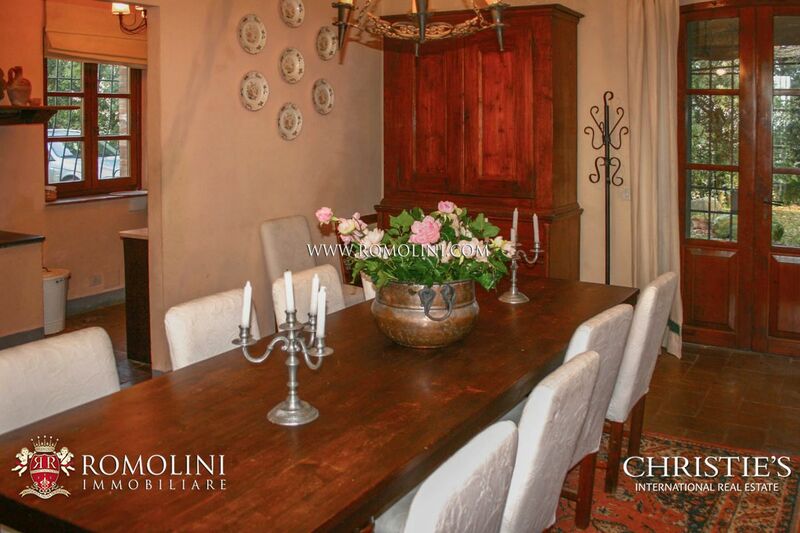 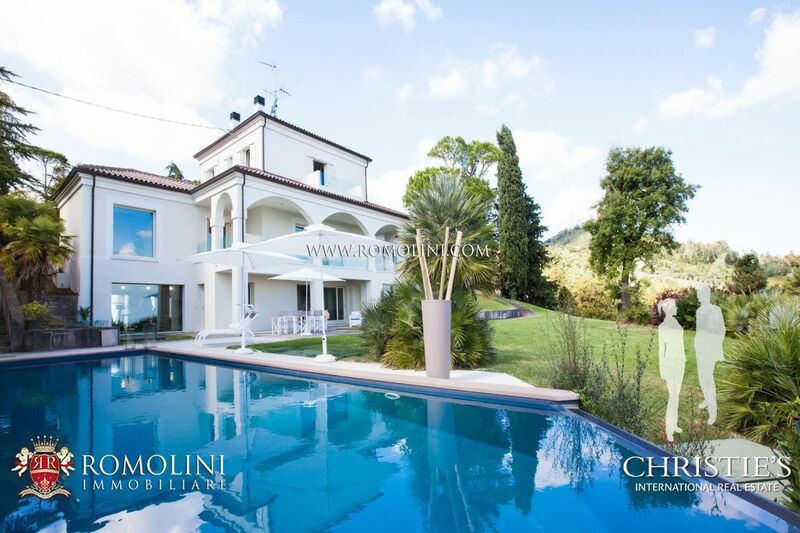 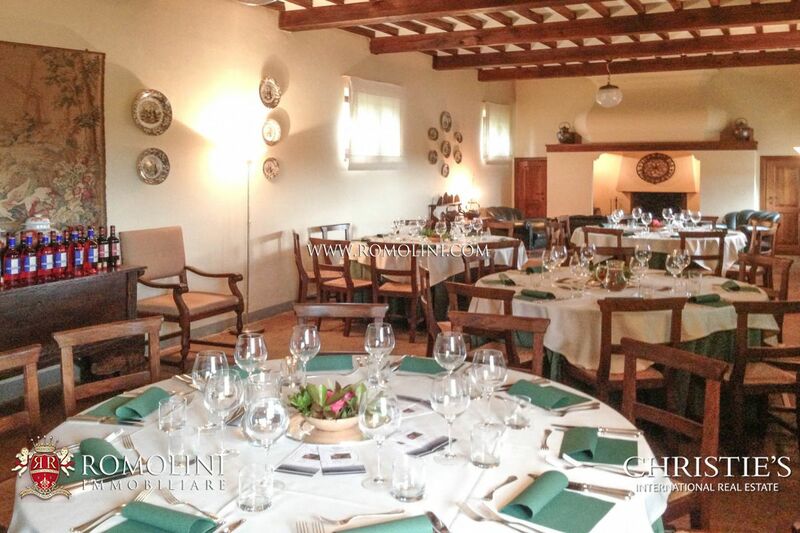 A second country house (295 sqm – 3,174 sqft) hosts on the ground floor the restaurant of the property (190 sqm – 2,044 sqft), fitted with a kitchen and capable of hosting up to 60 guests, while on the first floor (105 sqm – 1,130 sqft) we find an apartment. 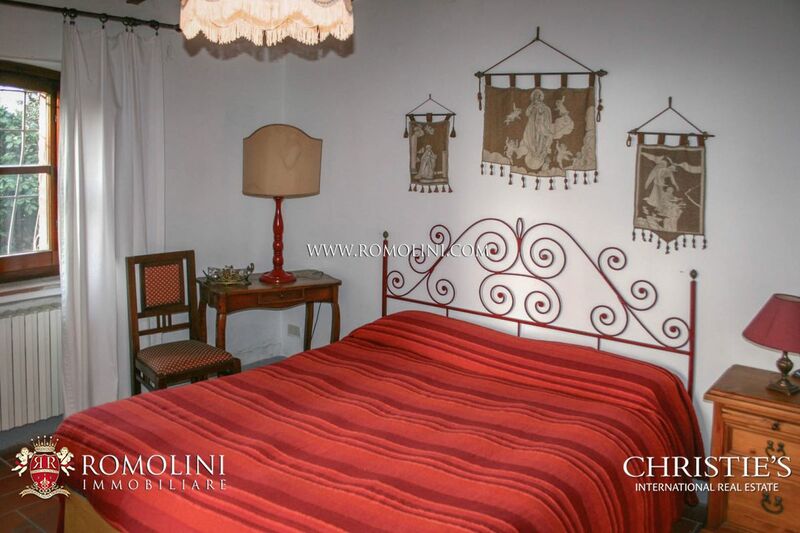 The dependance (30 sqm – 323 sqft) is a small two-room building made up of a bedroom with kitchenette and a technical room. 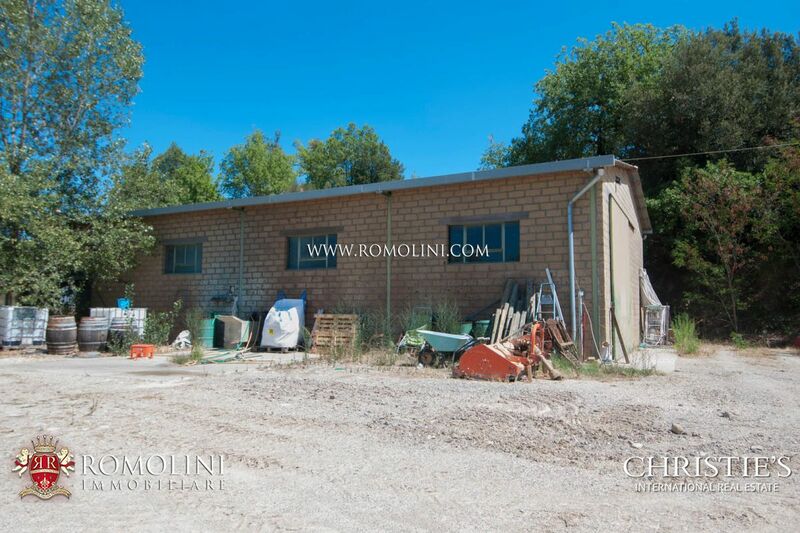 Lastly, we find two agricultural/technical buildings: the first one (190 sqm – 2,044 sqft) is a garage for agricultural vehicles fitted with a small depot, while the second one (19 sqm – 204 sqft) is a storage room for irrigation devices. 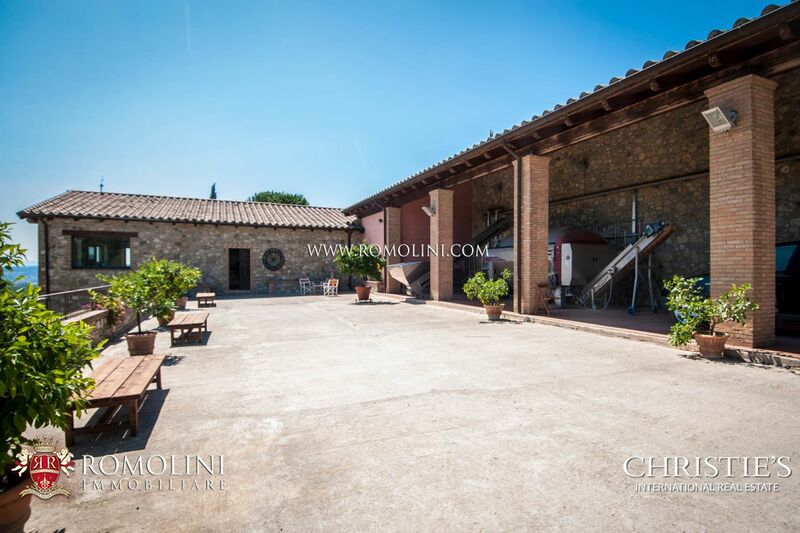 The property is in excellent conditions, mainly thanks to the restoration works carried out between 2002 and 2004 on the existing buildings, while the cellar was built ex novo in 2004. 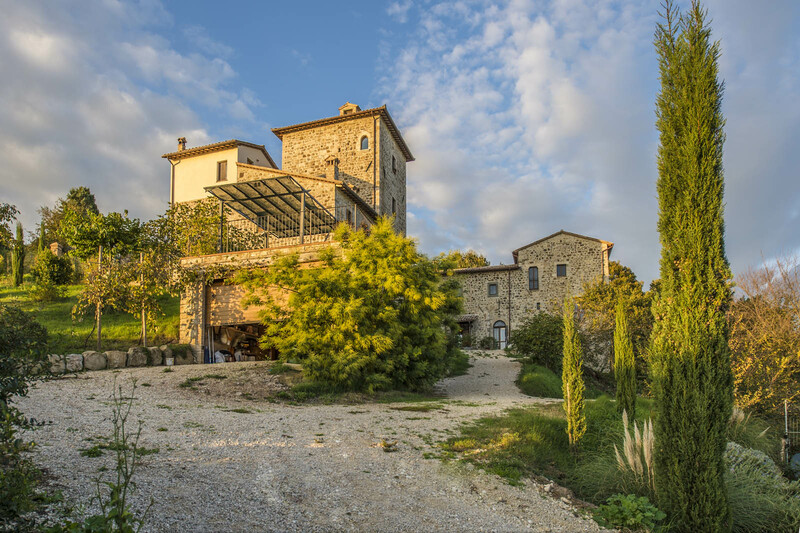 The buildings boast stone walls typical to countryside farmhouses and the most sought characteristics have been preserved: wooden beams, terracotta floors, and engraved stone fireplaces are just a few of them. 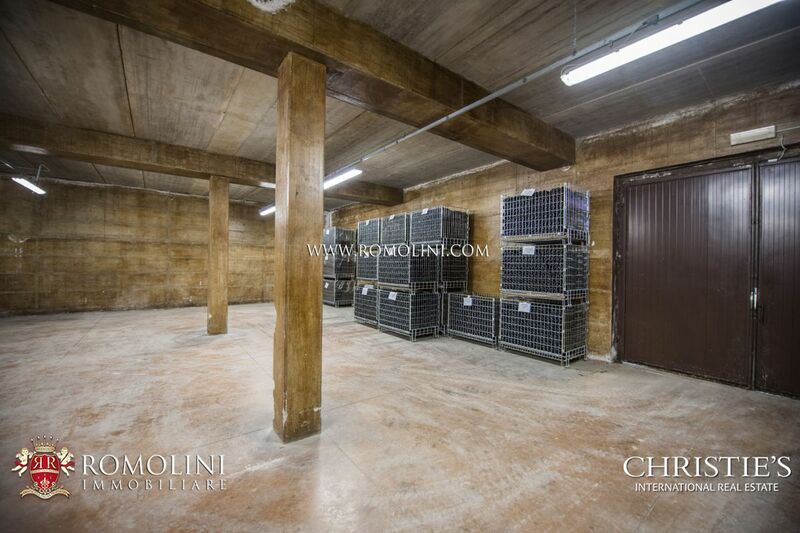 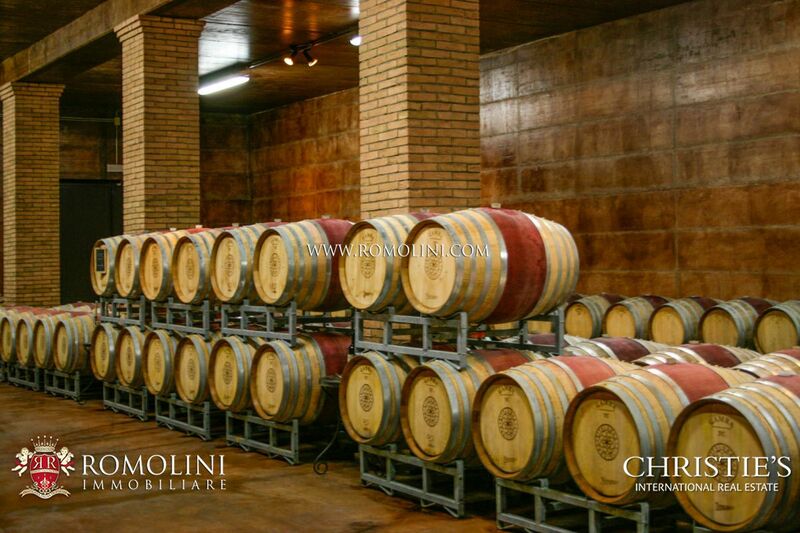 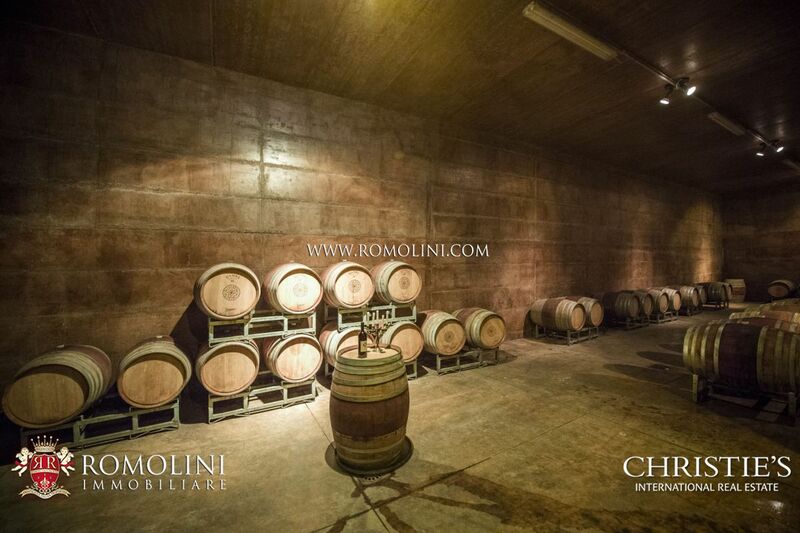 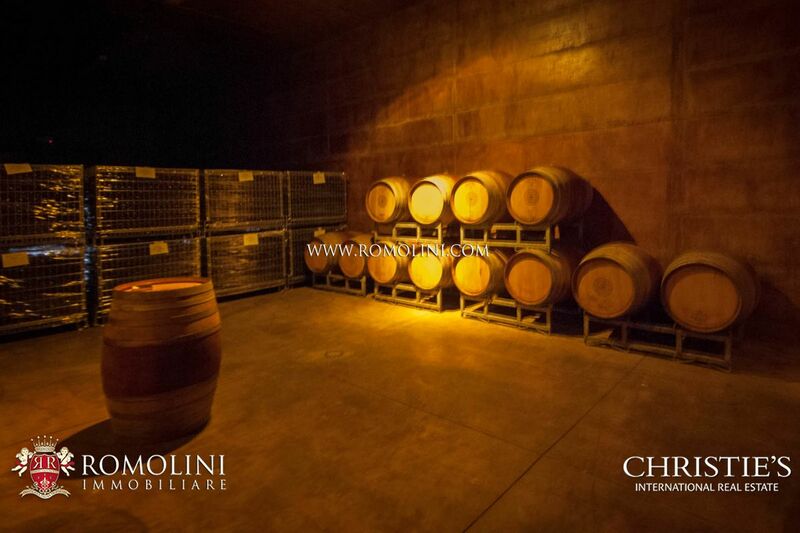 The cellar, conversely, recently built, is much simpler on the inside and was designed to grant the best possible working space, with everything necessary for the production of wines. 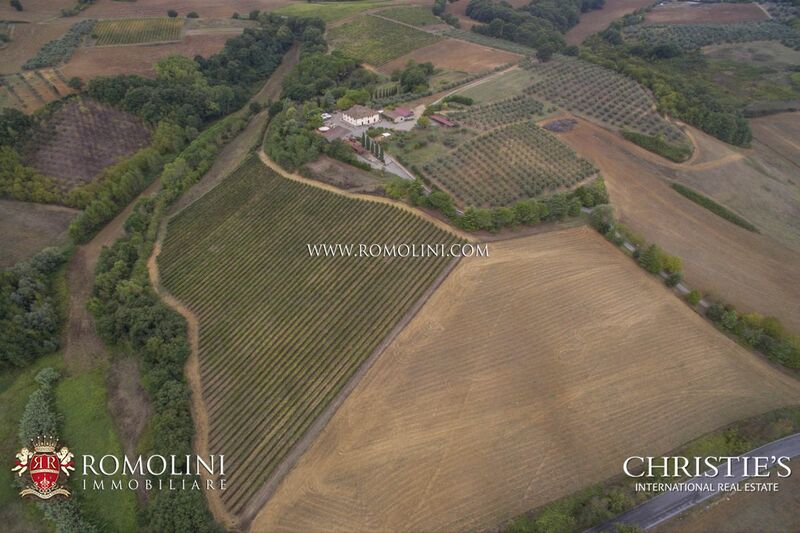 The property (excluding the surface of the buildings and the garden) covers 79.2 hectares of land. 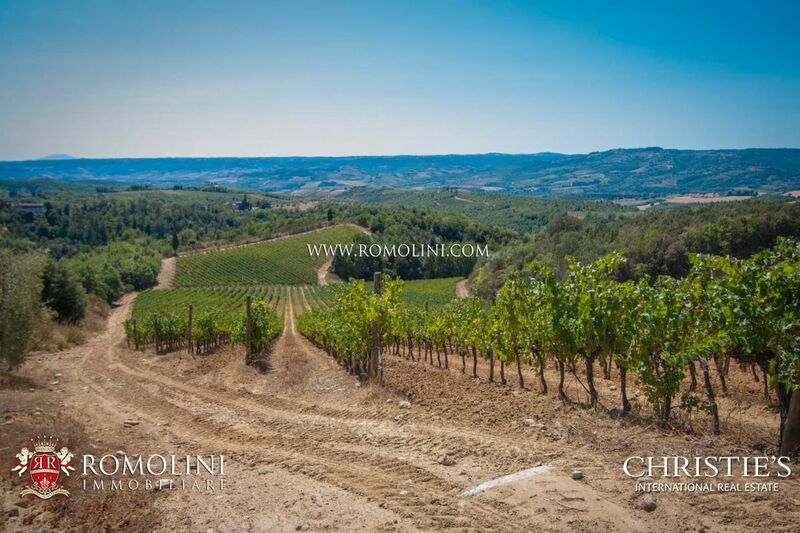 Of these, 16.6 ha are covered in vineyards (potentially expandable with 2 more hectares for which rights have already been purchased). 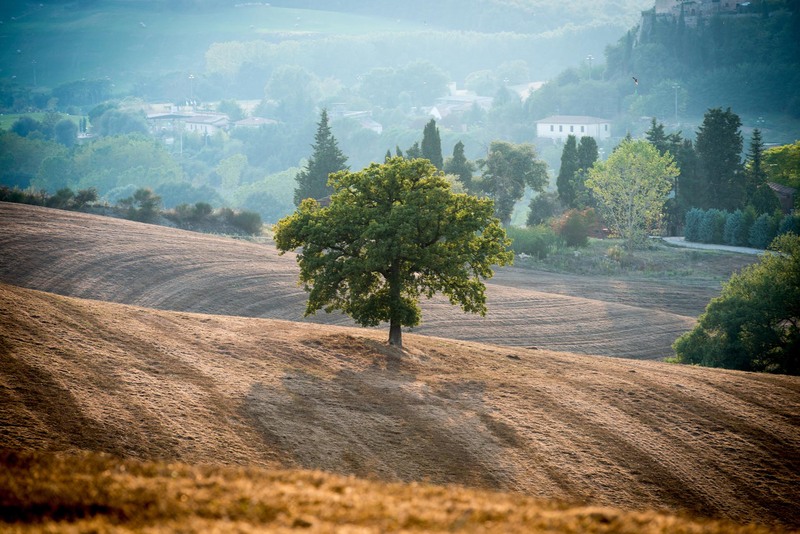 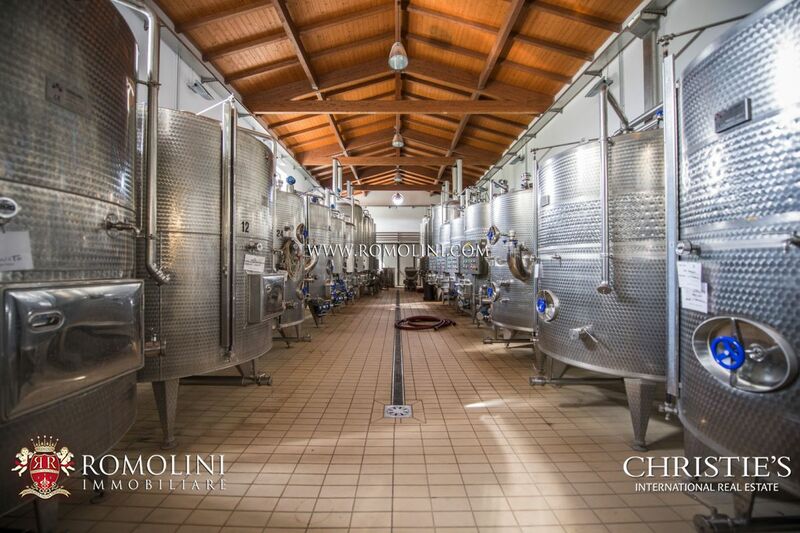 Then there is a 4.7 ha biological olive grove (with Leccino, Moraiolo and Frantoio cultivars) which allows the production of excellent extra-virgin oil. 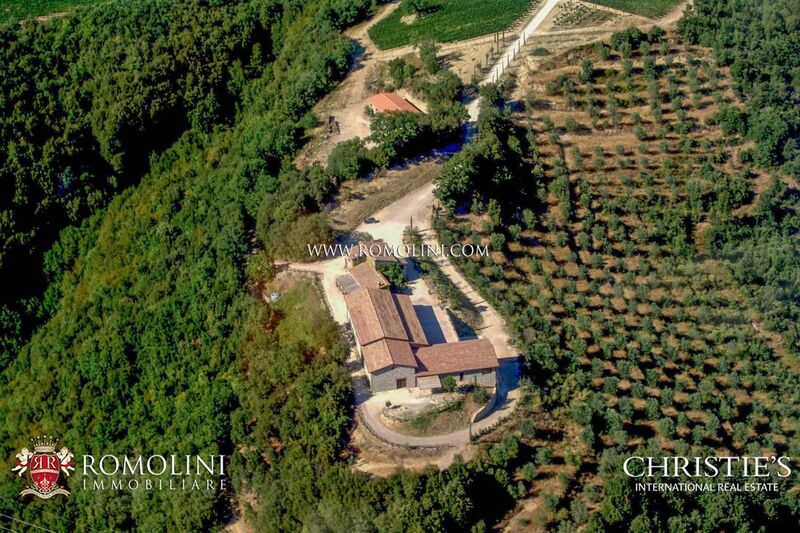 Finally we have 3.6 ha of arable land and 54.3 ha of coppice wood usable following the current regulation to gather firewood. 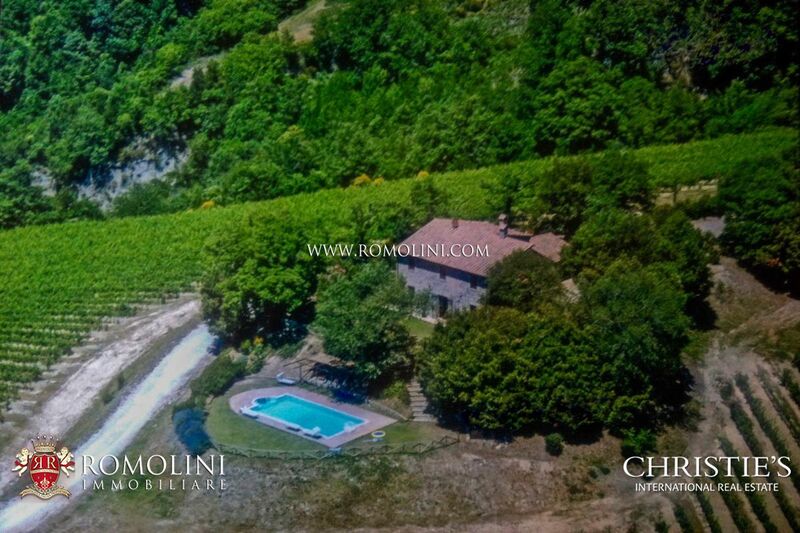 There is also a small pond usable for irrigation. 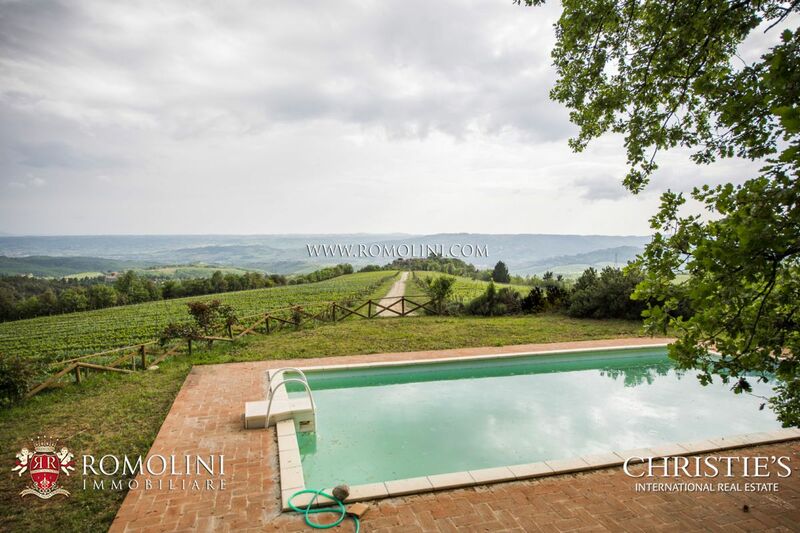 The property, given the presence of a hosting business, has a 1.3 ha garden where we can also find a beautiful 10 x 5 m swimming pool. 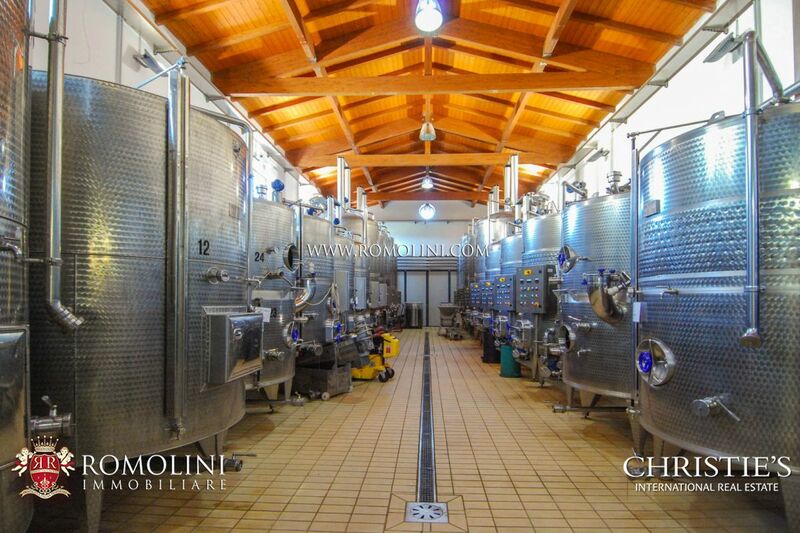 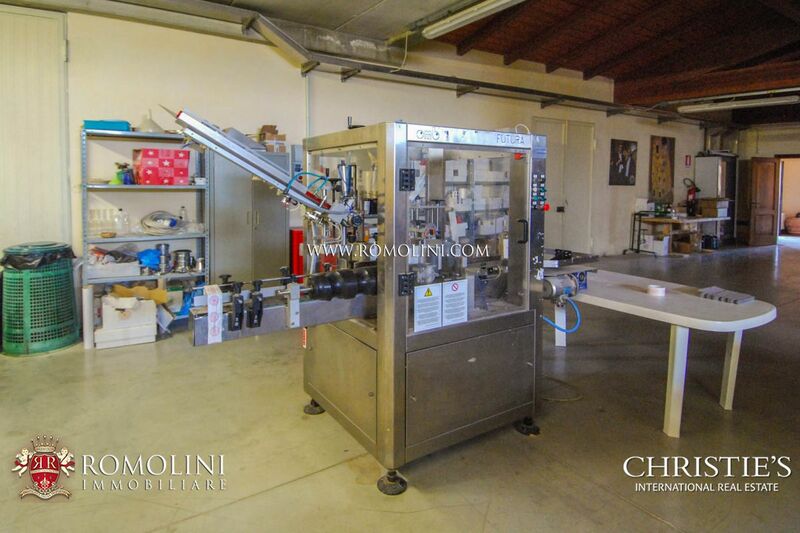 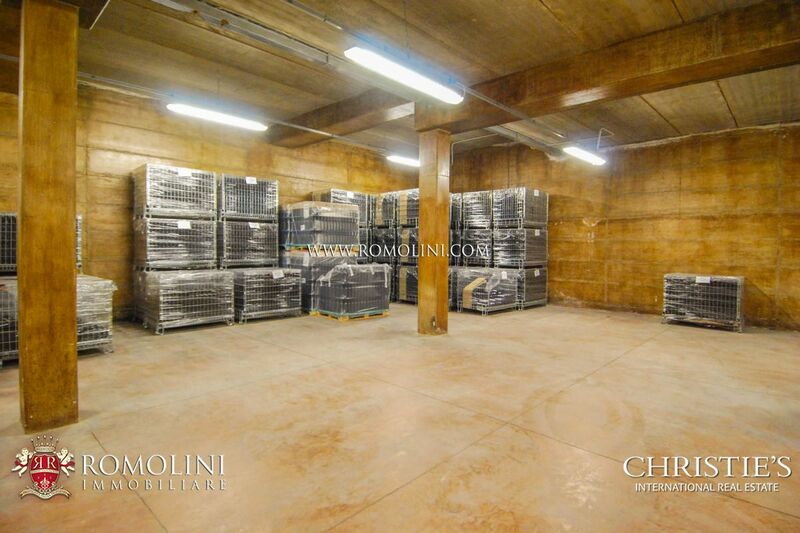 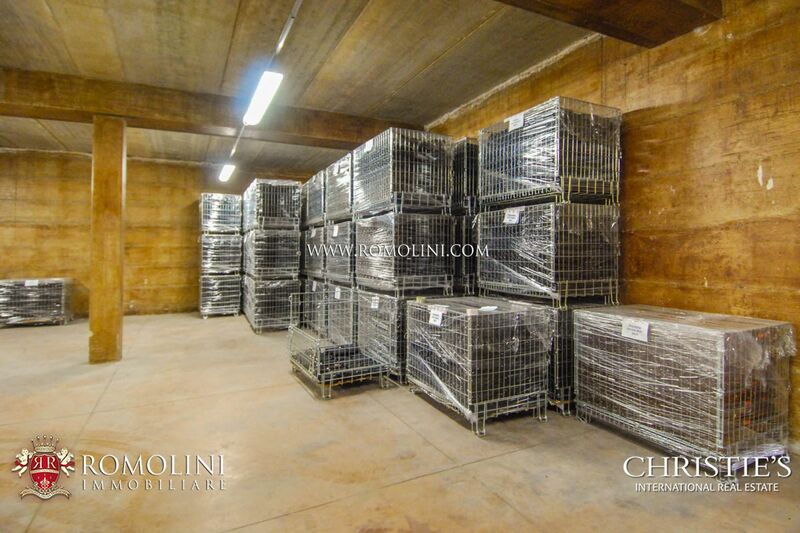 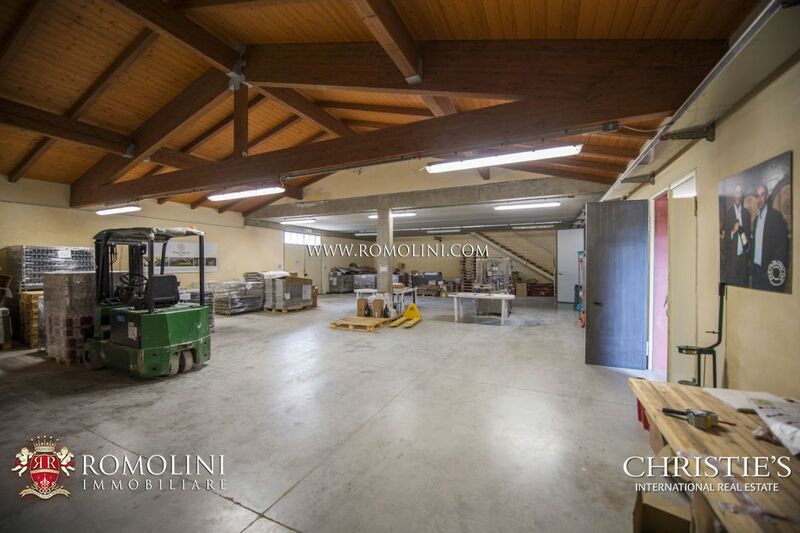 - Equipment in the cellar: stainless steel vats (2,400 hl in total), 50 French oak barriques, Vaslin-Bucher press, Vasin-Bucher destemmer, mono pump, transfer pump, 2 conveyor belts, labeler, capper, cooling coil, fork-lift truck, 2 wheeled tractors, crawler tractor, steel trailer with auger for grape discharge, trailer, 2 atomizer, trimmer, rotary brush, harrow, mower, plough, hoe, tractor shovel. 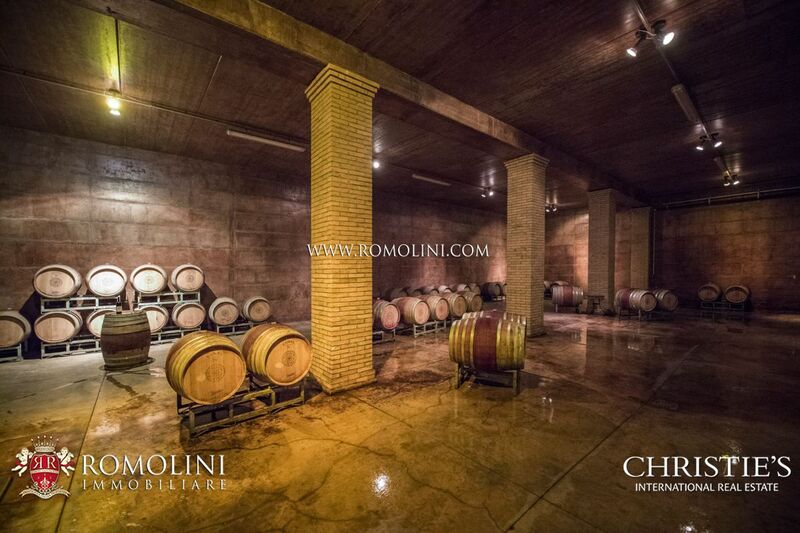 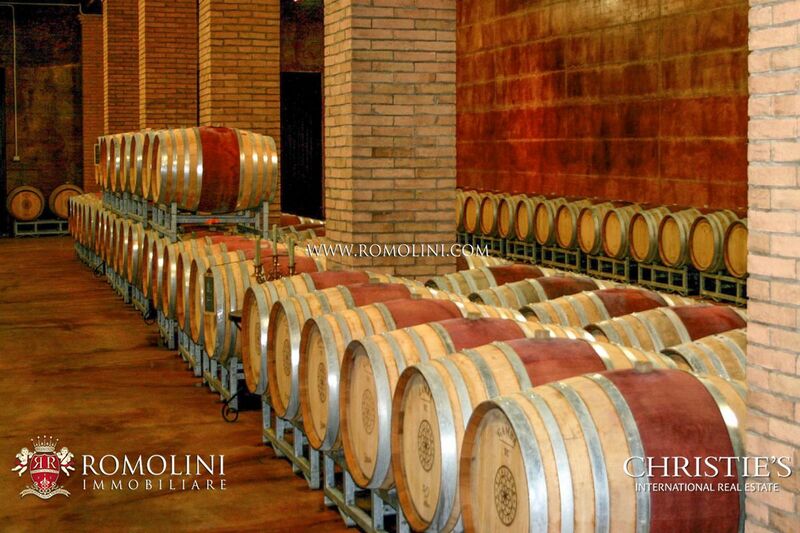 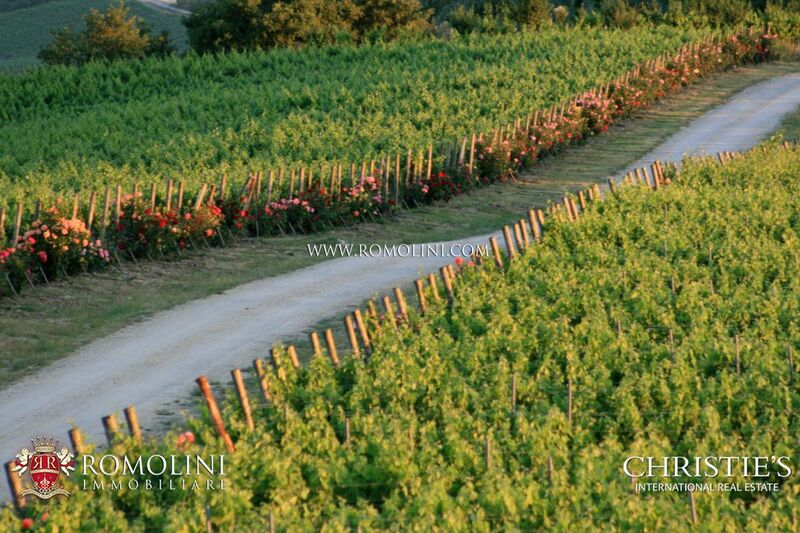 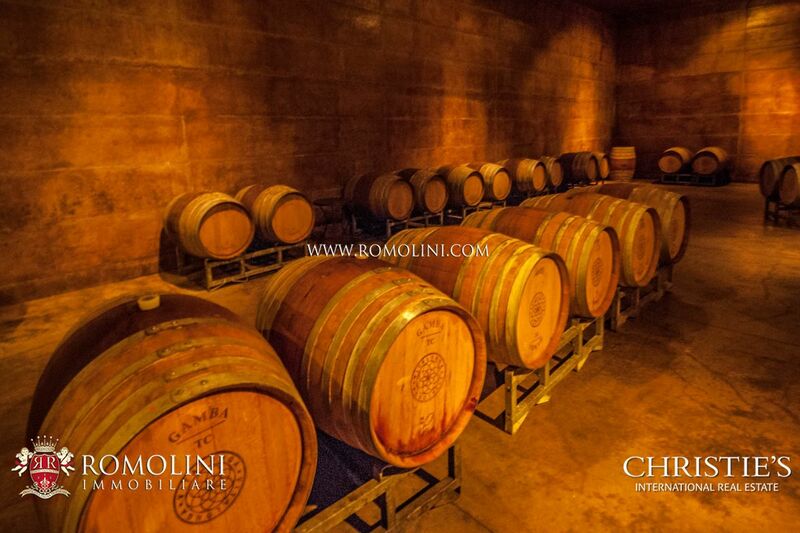 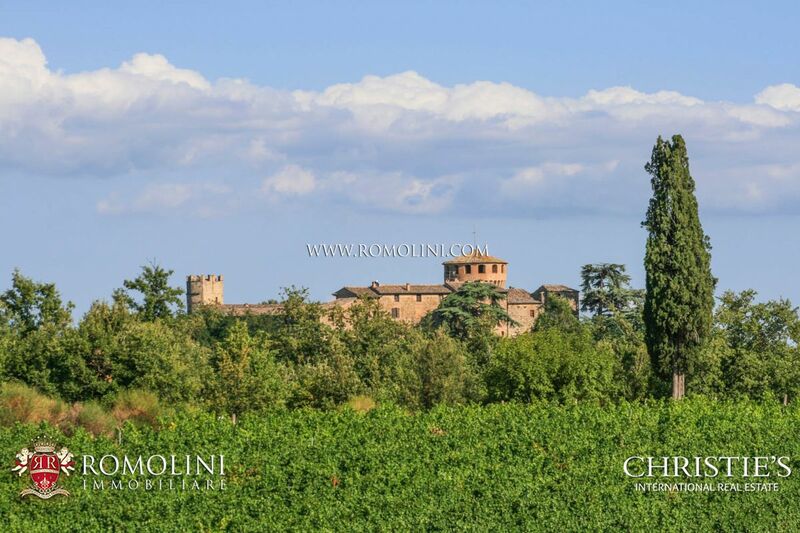 Wines produced in the property are of recognized prestige, given the high marks obtained on several specialized magazines and websites: James Suckling (96/100), Veronelli (93/100), Luca Maroni (90/100) and The Wine Advocate (91/100). 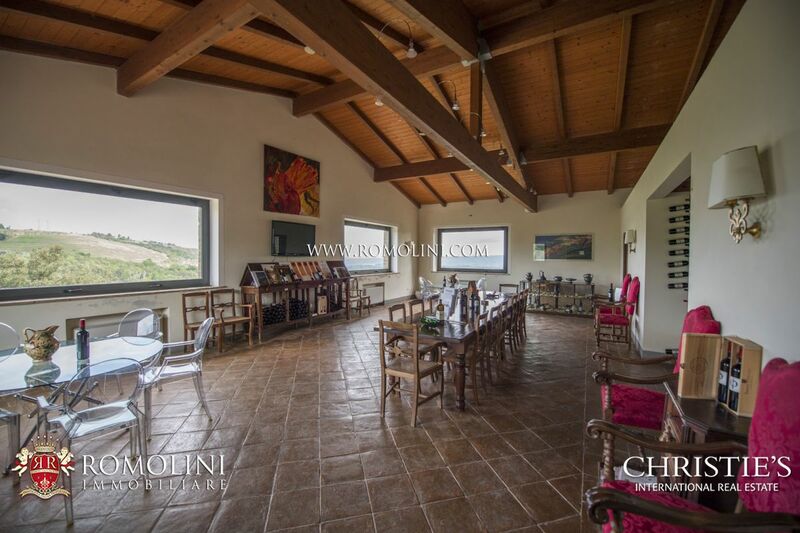 Backbone of the property is currently the production of high-quality wines (as testified by the high ratings obtained on magazines and websites), coupled with a nice hosting business and many outdoor activities. 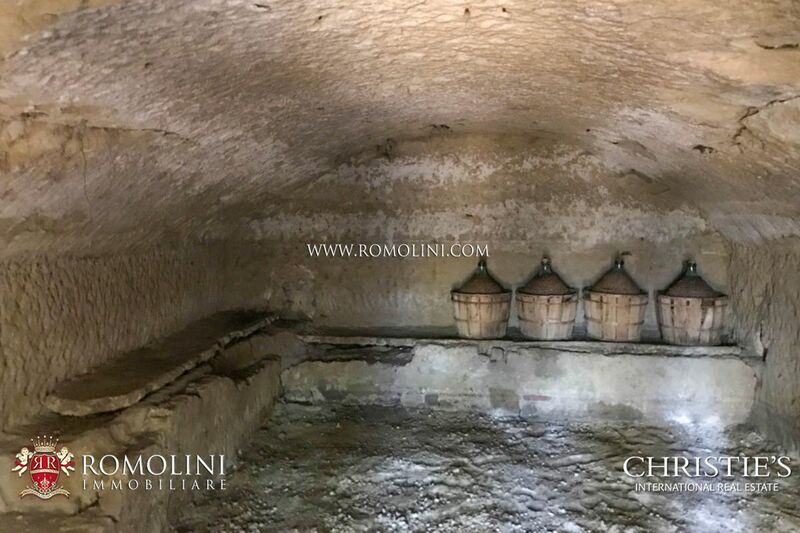 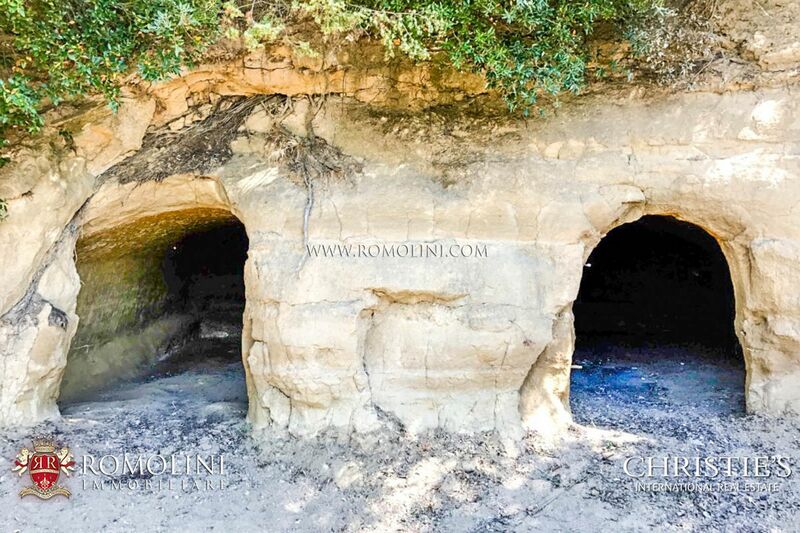 Guided visits are often organized to vineyards and the nearby Etruscan digging sites, often coupled with tasting of local products. 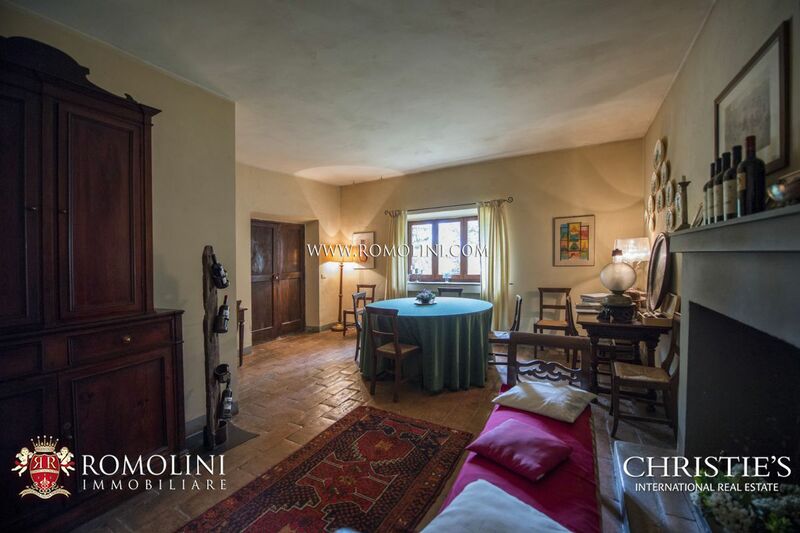 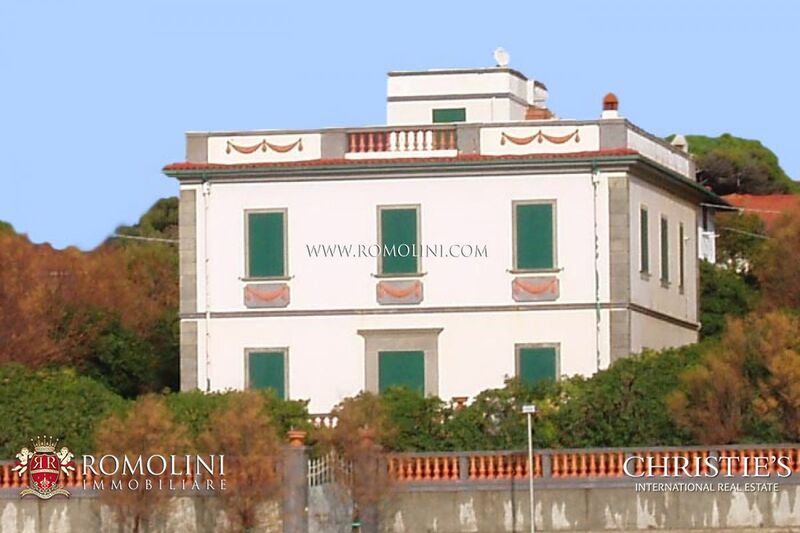 The main villa is, of course, perfectly suitable ad a private residence, both totally or partially, leaving rooms free for a B&B-like hosting activity. 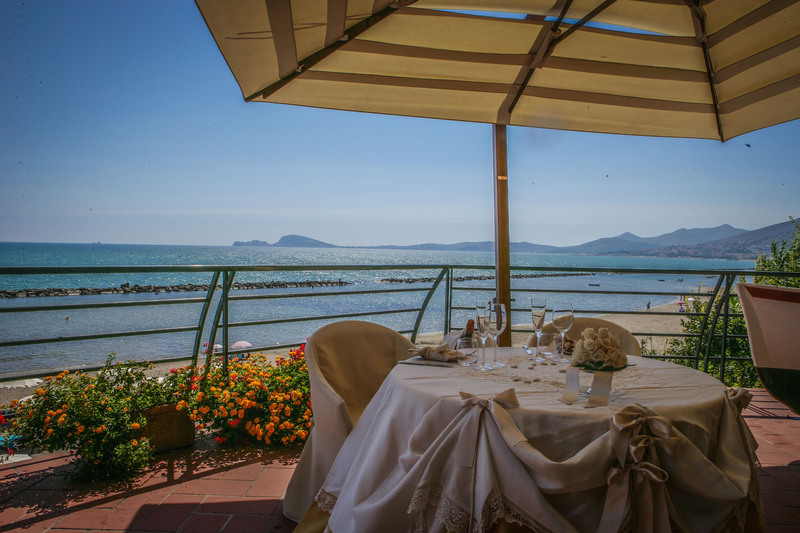 The restaurant, with 60 seats, grants another source of income.